Bellevue College men’s soccer has a rich winning tradition featuring 10 NWAC titles. Our two-year training program provides players with the opportunity to maximize their potential on and off the field and prepare them for transfer opportunities to four-year schools. 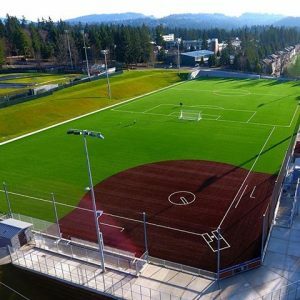 BC’s new synthetic turf complex is home to Bulldogs soccer and softball.